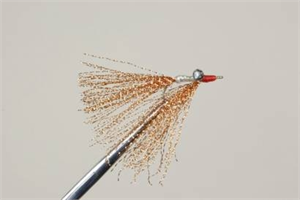 Designed for Bahamas Bonefishing, this shrimp pattern is a Grand Bahamas Island favorite. Effective wherever bonefish are found. Tied with Pearl Braid and Copper Flash; it gets noticed when other patterns remain ineffective.